Once upon a time, Tim Berners-Lee took the concept of Hypercard and turned into a world of networked pages. 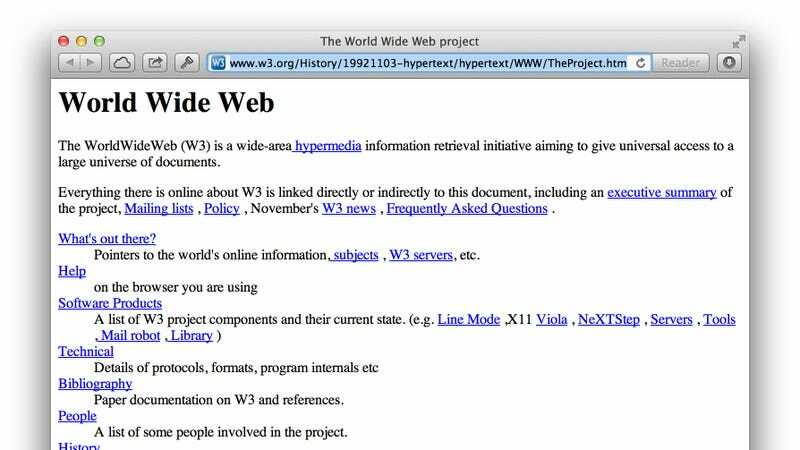 Then there was the first website ever, a boring but clean and well-lighted place that started with the title: "World Wide Web". I love that title and this part: "Everything there is online about W3 is linked directly or indirectly to this document." Everything!